Tim Cook tycks inte vara så intresserad av att lyssna på kunder som inte passar in i hans planer för framtidens Apple, men kanske han lyssnar mer på aktieägarna? Adamson köpte inte bara en Mac Pro, utan sålde också alla sina Apple-aktier. Varför? I’m honestly not sure Apple is even a consumer electronics company anymore. I’m starting to think they’re more a fashion and luxury goods company instead. When they make the devices thinner just for aesthetics, at a genuine cost to their performance or utility, the old “form over function” slam rings a little more true than it used to. As does the idea of charging high prices because they can; it’s been a while since we’ve seen anyone rebut the “Apple Tax” by configuring equivalent hardware in the PC or Android space… maybe because us Apple fans wouldn’t like the results? And if they are a luxury goods company, why would I invest in that? The whole reason I bought AAPL in the first place was from reading Motley Fool back in the day (on AOL even! yes, I’m old! ), whose emphasis on buying single stocks came from knowing what a company did and how it could be profitable doing that. I understood Apple in the 90s and believed that if they kept doing the right thing, they would succeed. They did, and I was rewarded handsomely for believing in them. But now, what the heck am I supposed to think when they’re maybe making a car, or making $300 coffee table books to celebrate how great they are? This makes no damn sense to me, so it’s time for me to be out. 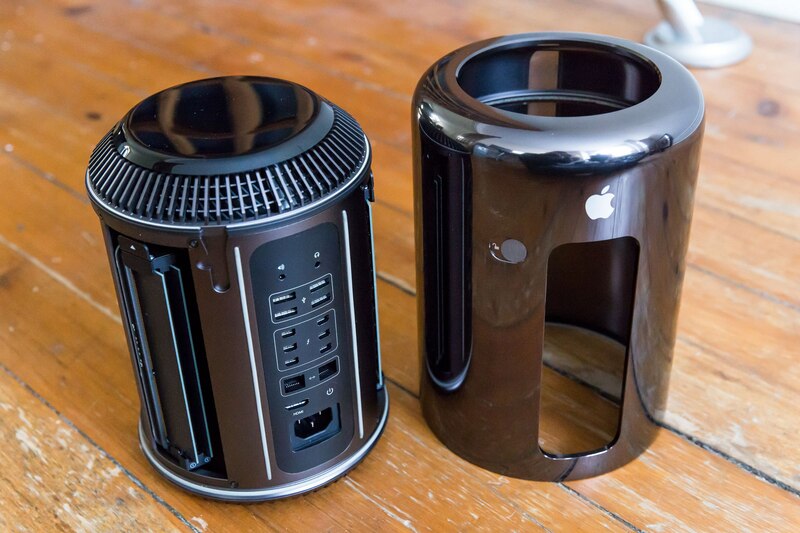 The Mac Pro, I understand. I wish it had been updated, and I surely overpaid wildly for what I got. But I can be pretty confident it’ll give me about five years of solid productivity in Xcode, Motion, Wirecast and the other apps I depend on for my work. That’s an investment I can still get behind. These graphics cards are custom designed for the Cylinder Mac Pro, and although they use a PCI 3.0 x16 interface, the Cylinder Mac Pro is not compatible with any standard Mac or Windows compatible PCIe video card. Both the physical dimensions of the card and the connector are specific to the Cylinder Mac Pro. Unlike earlier Mac Pro models that have industry-standard PCIe slots and support a fairly wide variety of video cards as a result, the Cylinder Mac Pro models would require third-parties to create video cards specifically for the Cylinder Mac Pro. Detta är en så god förklaring som någon till varför de senare generationerna av gamla Mac Pro fortfarande kostar ordentliga pengar och försvinner från marknaden ganska omedelbart: det är en riktig proffsmaskin. 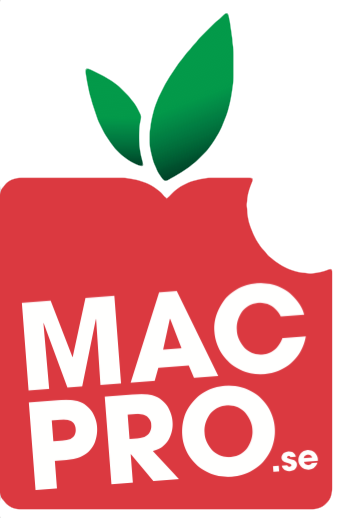 Min snart sju år gamla Mac Pro känns rapp nog för det jag gör. Med ett snabbare grafikkort och lite mer minne (åtta gigabyte är på gränsen till att vara för lite) kommer den kännas rapp ett tag framöver, även om jag officiellt inte kan installera macOS Sierra på den utan att fulhacka en aning. Om jag hade en sisådär 30 000 kronor liggande och inte hade nåt annat att spendera dem på hade jag nog köpt mig en 2013 års Mac Pro även om den är tre år gammal när den kommer i kartongen. Den är inte värd pengarna som sådan, men den är ändå värd varenda öre eftersom den fortfarande är den kraftfullaste och samtidigt tystaste Mac du kan köpa. Det är, ironiskt nog, maskinen som proffsen helst vill ha men som Apple innerst inne inte vill sälja till dem.